Blue Bubble - Blue Bubble By Savvy Vapes is here to help you rekindle those old memories. Sugar Rush have nailed the taste of this sweet treat! Neon Prophecy - Capturing the experience of drinking a lemon-lime soda poured over ice, Neon Prophecy by Savvy Vapes may just be the perfect citrus soda e-liquid. Grape Exposure - Our grape e-liquid has been mixed to taste just like grape flavoured sweets. Burst - High-quality candy inspired vaping flavour that you can use all day long and never get bored of. Purple Shock - A powerful blend of vape juice that's refreshing on your tastebuds with citrus touch. Apple Berry Blast - A medley of crisp green apples, summer fruits and wild fruits. Red Revelation - A blend of red berries and black grapes, combined with the intense aromatic subtle twist of aniseed, and finished off with the cooling flavour of menthol. Ice Ice Lime - Zesty lemon and limes creating a citrus blast enhanced with an ice menthol hit. Purple Revelation - Taste of blackcurrants, with a cool tone of menthol. Tastes just like Blackcurrant Tunes. Venom Vapes e-liquid 3mg & 6mg, TPD Compliant. 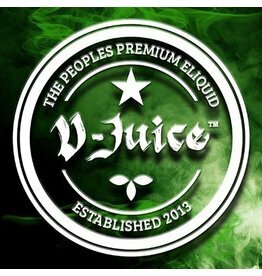 Available in 10ml or 3x10ml bottles with many mouth watering flavours.